AA Car Transport LLC provides you a personal specialist who will be available to assist you step by step from the quote to reservation untill delivery. 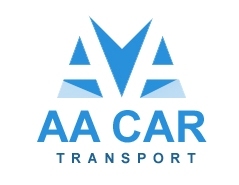 AA Car Transport value your needs and work for you like we ship our own car. We care about your time so we build for you few ways to contact us: Phone (800) 516-3340, Live Chat, Email: info@aacartransport.com, or our web site which allows you to Get A Quote and fill your order online. Read about why you should choose to ship your car with a broker in our blog.